Complex, robust functionalities can be generated naturally in at least two ways: by the assembly of structures and by the evolution of structures. This work is concerned with spontaneous formation of structures. 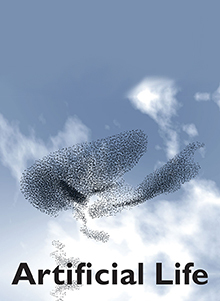 We define the notion of dynamical hierarchies in natural systems and show the importance of this particular kind of organization for living systems. We then define a framework that enables us to formulate, investigate, and manipulate such dynamical hierarchies. This framework allows us to simultaneously investigate different levels of description together with their interrelationship, which is necessary to understand the nature of dynamical hierarchies. Our framework is then applied to a concrete and very simple formal, physicochemical, dynamical hierarchy involving water and monomers at level one, polymers and water at level two, and micelles (polymer aggregates) and water at level three. Formulating this system as a simple two-dimensional molecular dynamics (MD) lattice gas allows us within one dynamical system to demonstrate the successive emergence of two higher levels (three levels all together) of robust structures with associated properties. Second, we demonstrate how the framework for dynamical hierarchies can be used for realistic (predictive) physicochemical simulation of molecular self-assembly and self-organization processes. We discuss the detailed process of micellation using the three-dimensional MD lattice gas. Finally, from these examples we can infer principles about formal dynamical hierarchies. We present an ansatz for how to generate robust, higher-order emergent properties in formal dynamical systems that is based on a conjecture of a necessary minimal complexity within the fundamental interacting structures once a particular simulation framework is chosen.